QUESTION: Mr. Armstrong, Have you ever been wrong? ANSWER: On a personal level, of course. We learn from our mistakes, not from our successes. I do not understand why there seems to be such a personal focus on someone’s forecasts. The typical scammer offers some newsletter along the lines of “if you followed these calls you would have made a fortune”. That is so stupid because (1) no one can be right all the time from a personal perspective, and (2) no one will ever follow such forecasts and do as they state when someone says to do so. If I was personally infallible, then why build a computer? So the question is rather stupid for there is no one has ever been correct all the time. 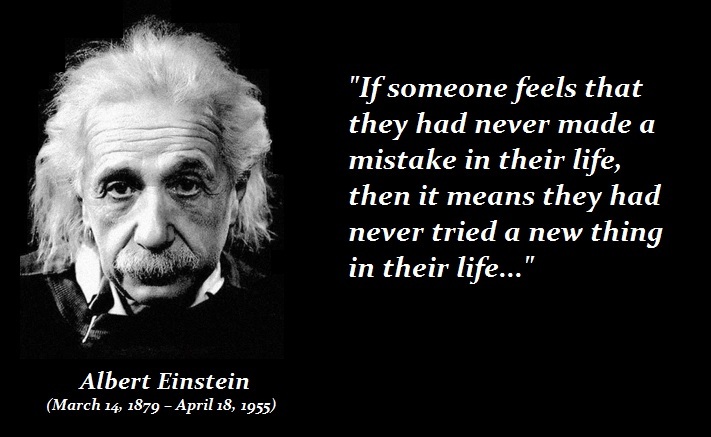 We all make mistakes and that is how we learn, and if we win we just pat ourselves on the back and say brilliant. If you are looking for someone who is infallible, well you better commit suicide and look beyond this planet. This blog is about observation and trying to figure out what makes the world tick. It is not about trying to pretend to be personally always correct. That is stupid. The key is to understand what the markets are forecasting, not someone’s personal opinion. The markets do not lie and are never wrong. Here is Greece viewed by its share market. 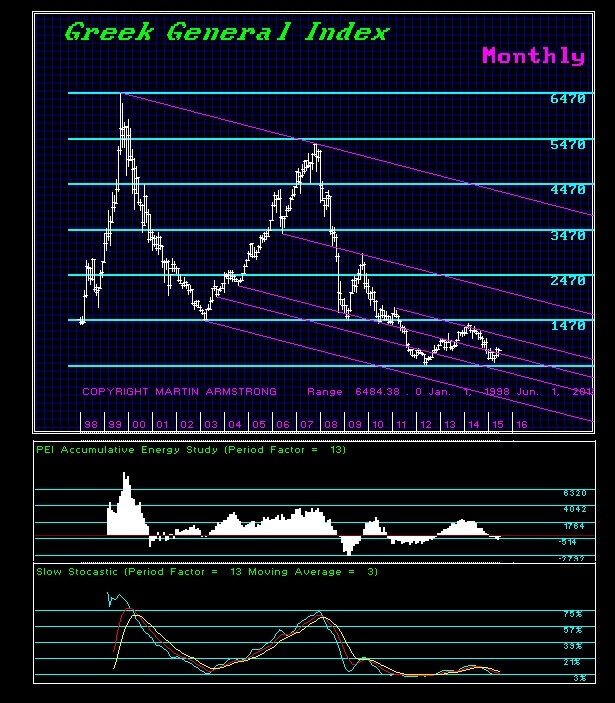 It peaked in September 1999 one month after gold bottomed in August 1999. Despite all the hype about the wonders of Euroland, and how the euro would displace the dollar, the proof is in the trend. They said the same thing in recent years about the Chinese renminbi. Obviously, if you look at the markets objectively on a correlated basis, you would see that capital has long since discounted Greece. Some say because the professionals all knew Goldman Sachs helped Greece hide its debt to meet the criteria. Perhaps. This chart does not lie. It shows Greece will depart from the euro or go to zero. The former is more likely than the latter or being captured by some invasion. The markets are always right; claims that they are manipulated or wrong because they are not doing what someone thinks they should do – well the markets are never wrong. You better look at the analyst for the excuses they are making are just nonsense. The whole object of creating a model is to negate that personal tendency of humanity to be wrong. Governments will never admit an error and will prosecute someone else for their own catastrophes. No one can ever be right all the time. Claiming that an analyst is wrong by picking apart something he said is a fool’s game since you can do that with anyone. What are you looking for by doing that? Human perfection does not exist. If this is what you are doing, then good luck. You will not advance in life unless you learn to make objective judgments. « Buy & Hold Strategy – Only For Fools?